The Society was founded in 1955 by the notable local archaeologist and historian Miss Marion Campbell of Kilberry. We organise a series of monthly talks over the winter on wildlife, archaeology and history topics of mainly local interest. The meetings are held in Lochgilphead at the Community Centre on a Thursday evening and visitors are welcome. During the summer we have a series of outings to wildlife or historical sites, mainly local but also further afield. In addition every summer we organise a week-long trip for members to a centre of interest. Recent visits have included a number of Scottish islands and Ireland. We publish a journal, The Kist, twice a year, which contains a range of articles of local interest. You can access previous editions on the Publications page. 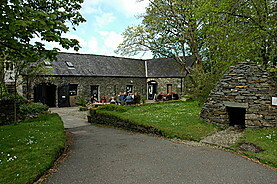 In addition members have access to the Society’s library at Kilmartin House Museum.